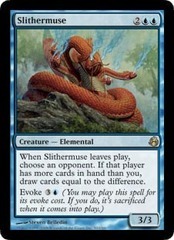 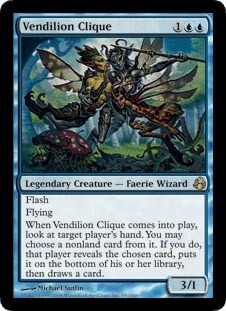 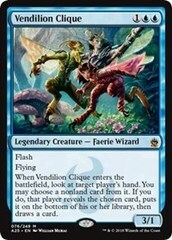 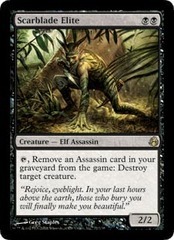 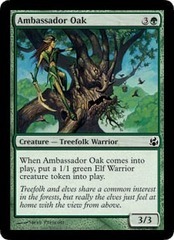 Card Text: Flash Flying When Vendilion Clique comes into play, look at target player's hand. You may choose a nonland card from it. 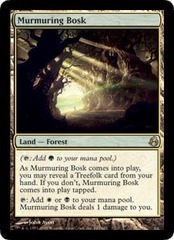 If you do, that player reveals the chosen card, puts it on the bottom of his or her library, then draws a card.